Richard Calabro is the owner, Head Barista and passionate about coffee, serving a house blend and single origins that are roasted by the boys from Single Origin. The place is pretty small and queues form out the door for consistently good coffee that is the focus of this establishment. *If youre lucky enough to get a seat you can take a look at all the photos on the wall from customers who have sent in photos from all over the World featuring the "Id rather be at Grind" slogan. Alan is the owner and you can usually find him standing behind his LM, watching every pour as though his life depended on it. *He serves his own blend that is roasted by Campos and has worked in the coffee industry all his life. Not the hype of Grind, but here you can sit down and get a pretty good meal, enjoy the ambience, and the view of Cronulla Beach that is just across the road. You can always get a pretty good cuppacoffee there - generally the World Blend with a few single origins thrown in from time to time, that have all been roasted just a few metres away. *Chats about your coffee woes or epiphanies are always welcome and you can take home a 250gm pack of roasted coffee for $8.00. Jason is the main barista and chef. Hes quite precious about his LM FB70, hes occasionally blu-taked little plastic toy soldiers all over it to deter people from leaning on it. Id be precious about it if I owned one as well! Id say the coffee is leaning more towards an italian style of espresso and cappuccino, with a focus on a more smokey and bitter taste, contrasted with the more sweeter coffee on offer at Grind. No skim milk on offer here; a point of pride for Kafenio. Great meals, especially anything with bacon. HAM (Harry and Mario) in Cronulla ... cant quite remember the street name - near frangipani gelato bar ... halfway between south and north cronulla beaches along that little road that runs up to Rydges Hotel. Its a little trendy deli/cafe. Theyve got their own blend, not sure who roasts it. Milk drinks are decent, food looks nice. This is run by Matt from Grind and Dom, previously of Kafenio and Paul Bassetts concept stores in Japan. Theyre using coffee from Mecca, until they get their own roaster up and running, which theyll roast from somewhere else, not instore. I had a strong flat white and a double ristretto there yesterday and it was very very good. Exceptional. I also spied a little pour-over, gold filter thingy, so this morning I went up and had some Kenyan somethingorother ... my gosh! AMAZING! update: at White Horse today, I had an Ethiopian Sidamo in a plunger. I got faint hints of watermelon! I must have weird taste buds, Dom reckoned it was strawberries and cream. Next up, a single ristretto. Peanuts with a real acidic (but pleasant) punch. Nothing to speak of in the way of food, but the coffee is great! 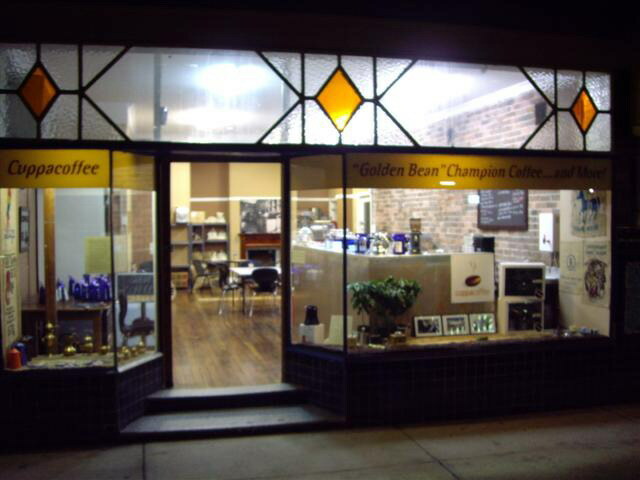 This is our award-winning coffee roastery where you can enjoy a great cuppa in a relaxed, comfortable atmosphere. 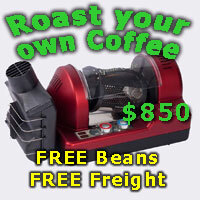 Its also a chance to be served by the person who actually roasts the coffee, which is a real rarity in the coffee scene. Freshly roasted coffee blends and single origins are always available, and premium quality coffee making equipment is there too, as is Dudley, our Diedrich Roaster. ooo, so thats where you are! Ill pop in next monday, if not, the monday after. Ran into this place today on a Shire coffee crawl, thanks to the recommendations above. Just an update; HAM us a blend supplied by Paul Bassett. Just quietly, was one of the better espresso had in that area. Also hit up Grind, WHC, didnt even bother with Kafenio. Had an awesome PO swissgold filtered Ethipian Yirg IMV at WHC (courtesy of Mecca) - delish. About 5-6 weeks ago went to Cuppacoffee, met Dennis and asked if I could watch him pour me a short black and a latte as I had recently bought an espresso machine and wanted to see how it should be done and what it looked like. He invited me around the other side of the counter and proceeded to go to work. The short black he poured was the first I had tasted (in my very limited coffee drinking time) that made me go WOW!!! I then understood what a lot of people here were talking about with all the different combinations of flavours you could taste. The experience has really helped me on my coffee journey. P.S. I really should get back there soon. P.P.S. Ive been waiting to get 50 posts so that I could say this. The short black he poured was the first I had tasted (in my very limited coffee drinking time) that made me go WOW!!! "Smooth as banana custard." ;D Was that you shawty? "Smooth as banana custard." GrinWas that you shawty? Cant remember what I said, I just remember thinking WOW. Will get back down soon. I have just bought a house and have been doing repairs in most of my spare time. That is apart from the time I spend playing coffee roaster and soccer coach. Visited Buzz Bar and Cuppacoffee today. Met Alan, hed left a very important document on one of his tables that I just couldnt resist commenting on! As he was having heat issues with his machine, was concerned with how the coffee was for me. It was still very good! The guys are passionate about their coffee, that seems obvious. However, their service towards me was lacking and I shall explain why. They forgot my coffee the first time. So, as an apology one of the guys brought over a small almond croissant, even though I didnt really need something else to eat, as I had already had a slice of banana bread. When I had finished the first coffee and banana bread, I went over to order another flat white to have with the croissant (good ploy there btw). Not that they forgot the second coffee but both men behind the machine were too busy leaning on it talking to another customer and it wasnt till one asked if I was going to eat the croissant that I replied with "Yes, with that second cup of coffee I ordered." If youre going to run a food service business...serve. So, at White Horse...coffee good...service needs work. Thats my experience. Try it for yourself. Thats a shame scoota, particularly as Dom and Matthew are so passionate about coffee. haha, they are quite sociable fellows, Dom & Matt. I can see that happening. Did Dom crack out his REALLY loud laugh? It reminds me of one afternoon visitting Ringas (now closed) in Marsfield - Id ordered a coffee, and ended up waiting about 45 minutes for it to arrive ... a group of young, female, attractive uni students turned up and clearly took first priority. The guy eventually brought out my coffee with a sheepish smile and the profoundest of apologies. In fact, I was impressed that the one young guy who I presume was not Dom but had made my coffee at least twice by then, remembered I wanted a flat white and asked me if thats what I was after. Of course, I said yes thanks! I know Im resurrecting an old thread; but I just moved to Engadine and wondered if there are any decent cafes in town. I went to Picasso Espresso Bar on Sunday morning expecting to give them a chance(despite the La Zumbo umbrellas out the front that I usually avoid like the plague). I asked whether they had a food menu and the owner* said that their "food was in the front display". As a group we were looking for breakfast, so I said "do you do any hot food? Eggs or toast? ", to which I got a rather curt "No". I followed up (politely I think) with "Oh, no worries. I just moved to Engadine. Are there any places that do breakfast?" and I got a nasty look and a grunted "try McDonalds". After walking out we went around the corner to Figgies where we got breakfast with a smile, and our order taken by the lovely owner. I didnt order coffee though, because they use Vittoria, and I dont trust Al Pacino. I did taste a latte, and a long black that two others in my group had ordered. Both were less than appealing. All in all, a tainted morning due to my Picasso experience. They wont get another chance, and I will tell everyone I know to avoid them. Figgies will get more patronage for their food, and lovely service, although I may have to make my own coffee at home. Haha ;D Yes, you will have to come to me, but Im closed on Sundays. Once I can plumb in my machine at home there will be less of an issue. Ill make sure to report back on any coffees I do try in Engadine. Just in case there is a diamond in the rough. 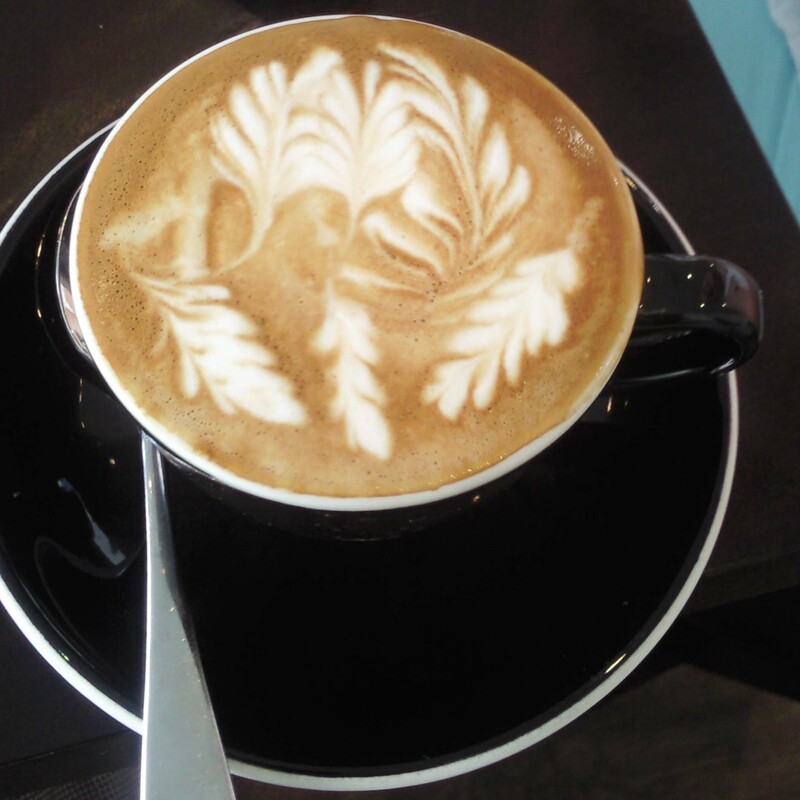 In gymea best coffee ive found is a new one - Bianco Nero, corner of north st and the main road. Good baristas, choice of house blend or single origin. Havent tried the food. Ive found white horse, and I havent had any issues with their service. I frequent it now almost every morning for a coffee to nurse on the train into the city. Matt and Dom and Brian (look for the moustache) are all good blokes who seem to love their coffee. Weekends I might stop in after a ride to sample whatever origin they have going as a long black. Ive also tried the swiss gold filter coffee with a lighter roast, but wasnt all that impressed at the time. I think it was a guatamalen. It was ok, but not as good as some of the chemex brewed origins Ive had a tobys estate at broadway. They have a clover machine that seems to be (almost) working. IIRC I asked them about it a few weeks back and they said that they had a trial run on it one weekend but they broke something :-? So no clover for now. Tried the relatively new Inc in the main drag of Cronulla, 93 Cronulla Street actually. Infact, it is just on the corner of Cronulla st and Surf Rd, so you can see it from Grind! There is a La Marzocco on the bench and I cant quite remember the coffee they were using but it was certainly well made. I had my now standard long black with cream on the side which was great. Infact, I would not hesitate to say possibly better than Grind but seeing as I did not do any back to back tasting of both cafes it might be not a fair call!! My girlfriends latte was delivered as ordered and she was impressed enough that she went back later in the week to have a takeaway but her only complaint was that after she ordered the guys decided to have a barista jam then and there! Seeing as she had her two kids under the age of 6 with her she wasnt too impressed and let them know she was waiting! They were apologetic and served her coffee. So, if youre in Cronulla and want to give something new a go, try Inc.
Hey Scoota, Inc use umami coffee - and agree, they make a great brew. Also try 5th season down the other end near the juice bar. Cracking espresso. They also have one of those bunn trifecta machines for something different, but still in the long black department. Had a quick visit to Sydney last week and decided to go and treat myself brekky at the latest cool haunt, Inc. As I walked past where Grind was, I was surprised to see it completely empty and looking like it was being demolished! Inc. was as good as usual. I stopped to ask the owner/barista about the new trainee (it was a bit obvious when she had to ask where the chocolate was kept!) and he told me how hard it was to find a barista that would work anywhere but the Shire! Most only wanted to work in the city, he reckoned. I also asked about where Grind had got to and was told it had moved up the lane from its original spot. Also was told that it was not able to open at its previous 5am time, rather 7am was the earliest as there had been noise complaints already. Inc. is still worth a visit as well! I even heard another customer praising the quality of the decaf there! Also was told that it was not able to open at its previous 5am time, rather 7am was the earliest as there had been noise complaints already. Four complaints led to that, and it was the noise of the grinder lever that was offensive. Theyve put a rubber stop behind the lever to reduce the noise and acoustic measuring devices now show that the local budgies are far louder. So Im hoping Richard will soon be allowed to open early again and do his usual 8 - 10kg pre 7am for all regular early bird customers. Its going back to a council vote very soon. Hope that they can resolve it at the next council meeting. Will be heading down to Sutherland this weekend to visit my son who has just moved in. Any updates to this thread would be appreciated. Any Baristas/Coffeesnobs looking for work in the Sutherland Shire?? ?